Earlier this year, AP science students at Chicago’s Lane Tech College Prep traded in their textbooks for field equipment to study water quality in the North Branch of the Chicago River. The Hydrolab allows students to monitor water characteristics like dissolved oxygen, pH, and conductivity with sensors similar to those used by scientists at the EPA Great Lakes National Program Office. 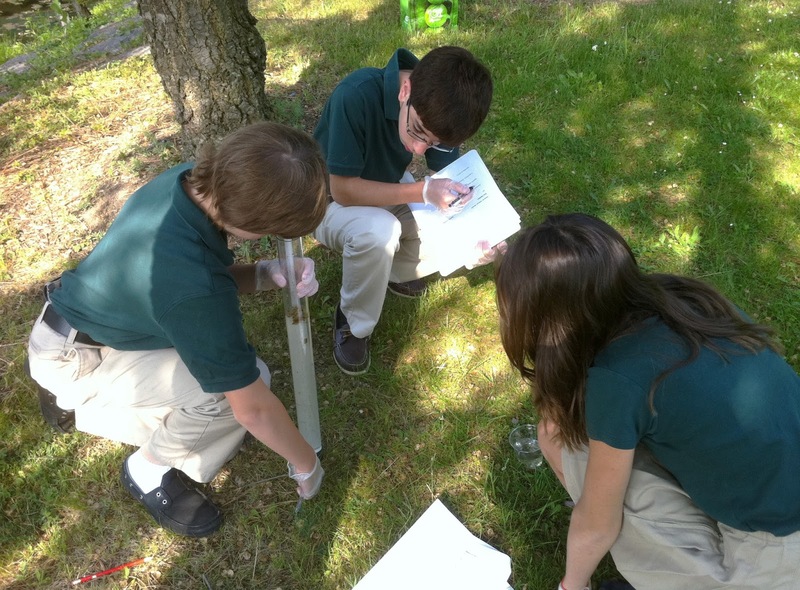 The teacher, Dianne Lebryk, borrowed the equipment through the Limno Loan program to help students better understand the connection between water quality and man-made landscapes. Several students wrote in to share their experiences working with the Hydrolab. We’ll kick things off with Timie Ogutuga. Taking an AP Environmental Science class really causes you to become more aware of the environment in which we live. It is so easy to overlook the effects our habits and lifestyles can have, not just on us, but also on other forms of life that also call Earth their home. Specifically with the Hydrolab, I learned that the toxins that we emit seep into bodies of water and settle there, producing various hazardous chemicals and toxins. This results in increased death rates in the ecosystem. I also noticed that a great eutrophication effect occurred. Because of this, there was also an increased amount of nitrogen, phosphorous, and other nutrients in the water. There were low oxidation levels and we noticed that many fishes were dead, floating on top of the gray-greenish water. This observation emphasized the fact that if we do not take steps to lower the amount of chemicals and toxins dwelling in the atmosphere, more of what we noticed in this particular area would get worse and our environment as a whole would deteriorate. I found this lab to be very fun, and it was nice to utilize the equipment. As a person who has such a great interest in the environment, using the equipment to find the condition of certain ecosystems really excited me. It made me really feel like I could make a difference and take initiative in helping to improve our environment. Seeing the excitement in my classmates also made me happier because as the future generation, we can be proactive and produce a healthier environment. This lab showed me that human activity can speed up the rate in which nutrients enter the ecosystem. We are not the only ones that call Earth our home, and we need to ponder on the effects our actions can have on our home. ***Photo: Students in New York use the Hydrolab to test local water quality. Courtesy of Sandy Cunningham.